投稿 by Sapporo Fountain Pen Show. 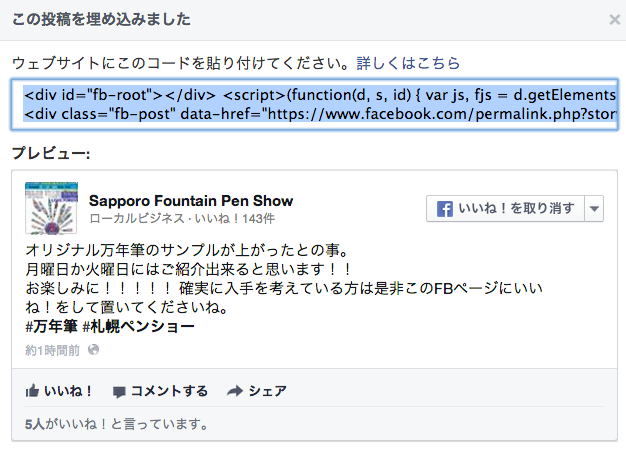 This entry was posted in Facebook, Howto, SNS and tagged Facebook, Howto. Bookmark the permalink.